How can I apply to an APPCN program? 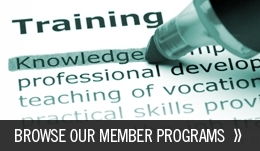 The links from our Member Programs page contain much information on applying to each individual program. Individual program websites typically provide additional information on the training and application process. If you do not find the information you are seeking, contact the director of the program(s) you are interested in with questions. Does APPCN have a standard application form or a standard application packet? No. However, most programs request a curriculum vitae, 3 letters of recommendation, and a graduate transcript, with some programs also requesting work samples (i.e., evaluation reports). Many programs allow for electronic submission of application materials. Some programs are having applications submitted through the APPIC application system. No, there is no fee to apply to specific programs. However, there is a fee to participate in the Match. What are the preferred training requirements for application? Successful completion of independent research, typically in the form of a dissertation. Training in Clinical Neuropsychology under the supervision of a Clinical Neuropsychologist. Preference may be given to supervision completed by Clinical Neuropsychologists with board certification through ABPP/ABCN. Preference also may be given to applicants with 1 or more years of practica experience. Supervised experiences in Clinical Neuropsychology during internship. Do I need to have completed an internship in order to apply? Is it necessary to be from an APA- or CPA-approved program in clinical psychology and have an APA- or CPA-approved internship in clinical psychology? APPCN programs require that applicants have completed an APA- or CPA-approved graduate program in clinical, school, and/or counseling psychology. The specific type of graduate program required will vary by fellowship program. An APA- or CPA-approved internship is preferred by many programs but not required by all. Exceptions are made in some cases, such as internationally-trained applicants or re-specializing applicants. If you are concerned with your training qualifications, please contact the directors of the programs you are interested in with your questions. Information about specific program requirements and preferences can be found on the APPCN Member Programs website. Do I need to have a neuropsychology internship in order to apply? What about an internship that meets INS-Division 40 or Houston Conference guidelines for internship training in neuropsychology? APPCN does not require a formal neuropsychology internship, but some APPCN programs do prefer applicants who completed internships with 50% or more of neuropsychology experience. This information will typically be listed on the APPCN Member Programs website, but if not, you are encouraged to contact the directors of the programs with your questions. Can I apply if my doctoral degree is in a non-professional field of psychology, such as experimental psychology or developmental psychology? APPCN requires that applicants have a doctoral degree in an area of applied psychology (i.e., clinical, counseling, and/or school) or else have completed a "re-specialization" program. Do I need to complete requirements for the doctoral degree in order to apply? You should only apply if you will complete your degree requirements before the start date of training. Many programs will accept a fellow if they have to complete their dissertation or have remaining course work, with the understanding that these requirements will be completed prior to beginning the residency and some will require the completion. For most applicants, the major unmet degree requirement is their dissertation. Programs may ask applicants specific questions about the status of their dissertations (e.g., if data are collected and the proposed date of defense). If you have not completed your dissertation, please have the Director of your graduate program complete the Document Verification Form and include it with applications to all programs. 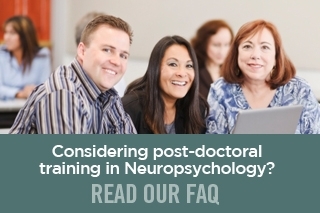 Is it necessary for the doctoral degree to be awarded before the start date of postdoctoral training? Some graduate programs do not have commencement ceremonies until AFTER the start date of the residency, and most programs can have the resident begin employment prior to commencement. However, if you anticipate that your degree will not be conferred before the residency start date, you will need to let applicant programs know this to verify that there are not institutional restrictions. Do APPCN programs have a uniform start date? There is no uniform date, but the start dates of most APPCN programs are from July to September. The exceptions are mostly when programs have positions that need to be filled at other times of the year. Do APPCN programs have a uniform application deadline? No. You should look at each APPCN Member Program to which you are applying or contact the program directors for their deadline. However, there is a deadline for all applicants and all programs to submit their rankings to National Matching Services. Therefore, no programs can accept applications after the deadline for submitting rankings. Do I need to interview at the International Neuropsychological Society (INS) meeting? Interviewing at the INS meeting may be convenient, because it occurs just before the match, but is not required for applicants. Each residency program has its own policies regarding the timing and location of interviews. Many programs conduct interviews at the INS meeting in February, some conduct interviews at their training site, some conduct interviews remotely (e.g., by telephone or video conference), and some may not conduct any personal interviews. The policies with respect to the timing and location of interviews for each residency site that participates in the Match will be provided as part of the Listing of Programs participating in the Match that will be posted on the APPCN match website typically by the end of November each year. Please make note of whether or not a program will be interviewing at INS before making travel arrangements. The interview day is usually the Tuesday before the INS meeting begins but interviews may be scheduled throughout that week. Do I need to interview on-site at each program I apply to? There is no APPCN requirement for on-site interviews. However, some programs may allow on-site interviews while some programs will only interview at INS. Again, refer to individual program information regarding this question. How do I register to participate in the Match? Information on registering for the Match is available on the APPCN match website. Navigate to the section for Applicants and select the link to “Register for the Match”. What percentage of present APPCN members will definitely participate in the Match? All the APPCN member programs that have positions available for the upcoming year are required to participate in the Match. Will other sites that are not members be eligible to participate? Yes, programs that are not members of APPCN may participate in our Match, provided they meet certain minimal qualifications and agree to abide by the APPCN Match Policies. However, participation in the Match does not imply that a non-member program complies with the training guidelines and standards for membership set by APPCN. There are some non-APPCN programs that are probably of similar quality to APPCN programs. But unless they apply for membership and allow peer review of their programs, their compliance with APPCN standards cannot be determined. What are the benefits of the match to applicants? APPCN supports the Match because it allows for a level playing field by which recruiting can take place in a manner that respects the wishes of programs and applicants. The Match is designed to eliminate the way that programs seeking to get a "leg up" on other programs can pressure applicants to accept offers without allowing applicants to be considered for a wide range of programs. If I receive an offer from a program that is not participating in the match, what should I do? First, you need to consider how you would rate this program among the other programs. Make a list and determine whether you have sufficient information at the stage of the process to make your decision. If you are not ready to make a decision or are not interested in the non-participating program, thank them for their interest and tell them you are remaining in the match due to your interest in other programs. You are participating in the APPCN Match and are interested in other programs as well as the non-participating program. You have included the non-participating program in your rating list, and you will not rank programs that you are not as interested in as highly as theirs, if they commit to holding your offer until after the Match results are announced. In this situation, you are encouraged to get their commitment in writing. In this option your best interests are served as you are able to consider all training opportunities according to your true preferences. You may contact the program director of your preferred program. In this situation, the applicant can approach their number one rank site and inform them that they are the preferred site but that they have received an offer from their second choice program that is not participating in the match. The program director can tell you if they plan to rank you high enough to match with them if you were to rank them first. Therefore, if you have received an offer outside of and before the match, we encourage you to contact your preferred program(s) that are participating in the match and inform them of your situation. If the offer is from your most preferred program, you may accept the offer and withdraw from the match if it is prior to the day to submit your rank order list. If you have submitted a Rank Order List, you are bound to respect the results of the match and there can be professional consequences to you as the site you are matched with will not have a resident if you withdraw at this time. Please see Match Policies on the APPCN match website for more information. If NMS is not notified that I am NOT submitting ranks, how does that affect the remaining participants and programs? You may decide not to submit any ranks for a number of reasons (e.g., accepted a position at a non-Match program, received no interviews, do not like any of the programs where you interviewed, decided not to do a residency at this time, etc.). When you withdraw, you must indicate your reason for withdrawing by selecting from a predefined set of choices. NMS has to follow up with any applicant who does not submit ranks or a withdrawal to ensure no one "falls through the cracks." Neglecting to notify NMS requires extra, unnecessary effort. Once you withdraw, programs in the Match can choose to not list you on their Rank Order Lists, and as a result, they may be able to provide additional information to applicants remaining in the Match regarding their prospects for matching. So, if you plan to not submit ranks, your withdrawal may benefit other applicants, programs in the Match, and the individuals who work for NMS. Please note that withdrawn applicants are still permitted to seek positions after the Match. They will be able to access information from the Match website on positions that remain available after the Match. What are the consequences if I take part in the Match but then renege on the outcome of the Match? The Match result is "final." Applicants and programs must accept the Match result and failure for either to do so would be viewed as unprofessional to the larger neuropsychology community, and there may be negative professional consequences. An applicant reneging on a Match commitment has potentially harmed another applicant in the Match who may have preferred the vacated position and been desirable to the program, but has now matched elsewhere. The program has also very likely been harmed because other applicants it may have wanted to fill the position may now be matched elsewhere. If a program chooses to not honor the results of the match, they would likely be removed from APPCN membership for unprofessional behavior. If they are a non-APPCN program participating in the match, they would likely not be allowed to participate in the match. In summary, in order for the Match to function, it has to be binding for programs and applicants. Remember that to participate in the Match, those participating must accept the terms of an Agreement found on the APPCN match website.